So this was a hang-out-and-not-do-anything kind of vacation. We were there from March 21-29. 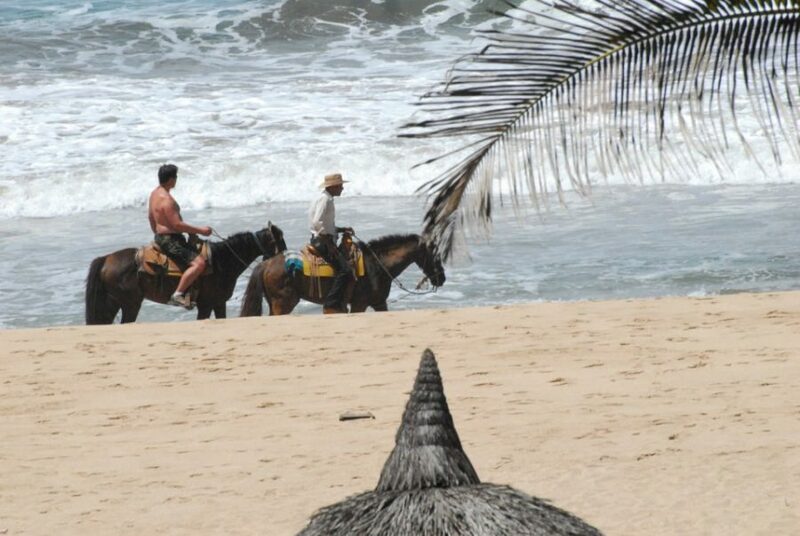 No itinerary other than to get to Mazatlan and enjoy the weather. Oh, we did some modest stuff–took the local buses here and there. Ate at a couple of neat restaurants, and one awfully overpriced one at which we got hustled to buy a condo. 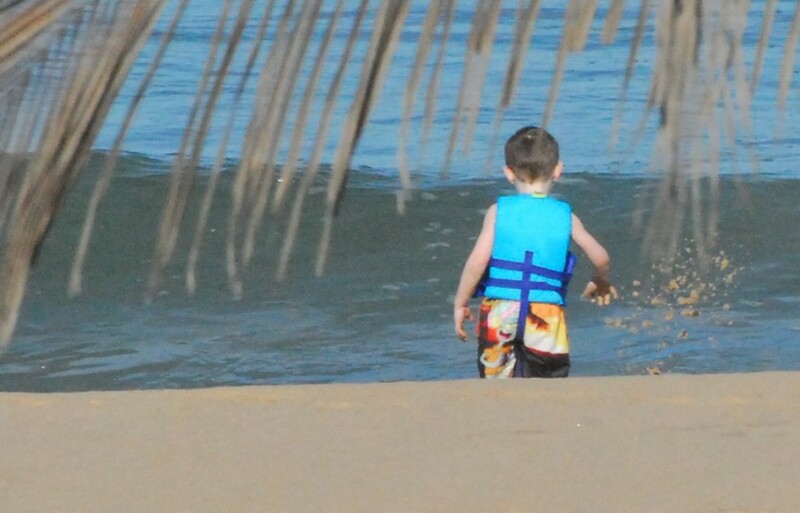 We were surprised by rather cool and windy weather Tuesday and Wednesday (March 24, 25), and it served as a reminder to bring something with long sleeves, even to Mexico. Could have used a sweatshirt those days. But, as we are from Minnesota, we just naturally think of Mexico as a place to run about in swim suits and without shirts (well, me anyway). Not always so! Although, there is considerable difference from the sun to the shade. But on the cool days, even Char found it hard to be in the sun. I typically do not sun bathe, but I went one time with Char down to the pool to catch some rays. Got red, as expected, but because of my Swedish skin, which tends to burn when exposed to an incandescent light bulb, I knew not to over do it. So I avoided a nasty sunburn. 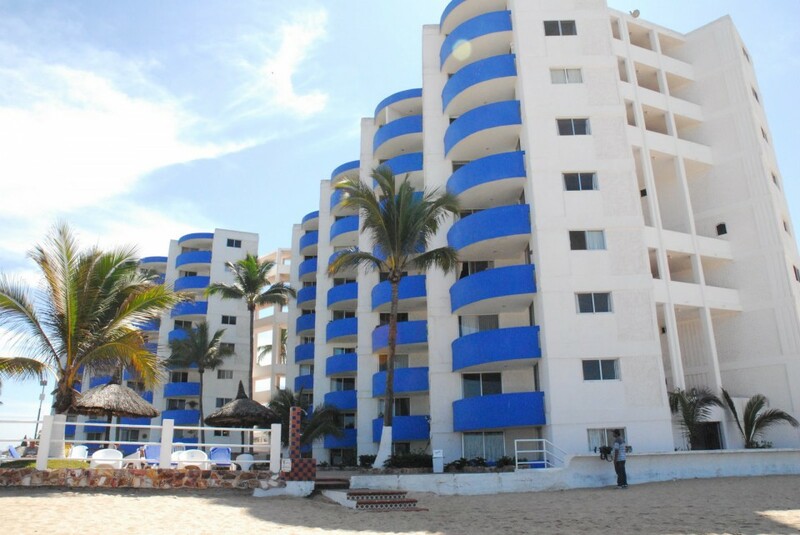 One of the neat things about staying at La Marina (the blue-and-white building in the photo above) is that mobile vendors come by–one daily, one three times a week. 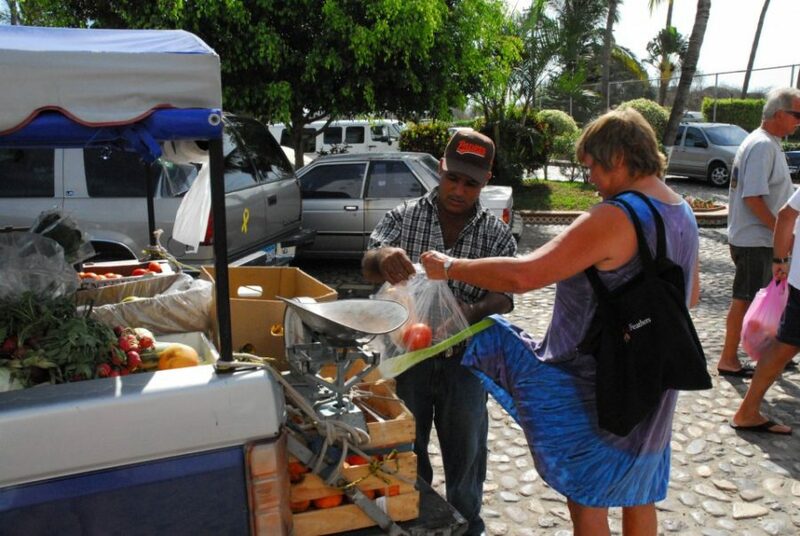 Gilberto, the fish man, comes daily, and offers residents a choice of fish or shrimp–whatever the fishermen have caught during the night. So the seafood is always fresh. Sometimes, when the fishermen party on a Sunday night, they don’t always make it out to sea on time, so Gilberto has been known to show up on a Monday with slim pickin’s. Guman, the vegetable man, shows up with fresh (mostly) produce on Mondays, Wednesdays, and Fridays. All sorts of stuff. Potatoes, onions, carrots, peppers, bread, limes, bananas, cilantro, cantaloupe, pretty much anything you’ll need to plan a meal. This turns out to be handy because the in-house restaurant (which is inexpensive and pretty good) only serves dinner on Monday, Wednesday, and Friday nights. It serves breakfast and lunch daily. Sol if you want dinner on the nights that the in-house restaurant isn’t open, and you don’t want to cook, you’ll have to look elsewhere. We did try some restaurants. 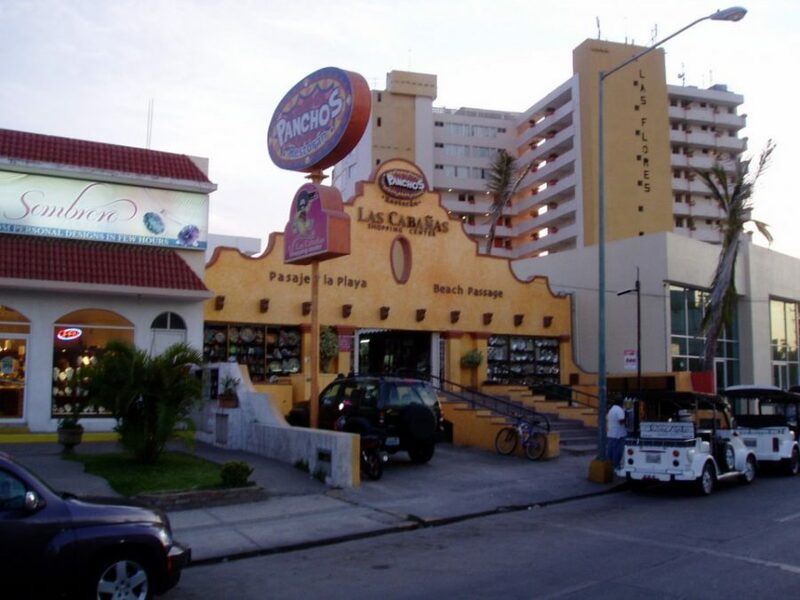 Pancho’s is just a few hundred feet from the corner of Calle Garzas and Avenue Playa Gaviotas. It’s a nifty place that sits on the ocean and is divided by a public access to the beach, that is, public access to the beach runs right through the restaurant. It features open-air, but covered, dining as well as indoor dining on two floors. Menu is quite comprehensive. Full selection of typically Mexican cuisine, plus items you might see in the states as well. We’ve eaten there before (a couple of years ago), and the quality of the food and service is quite good. 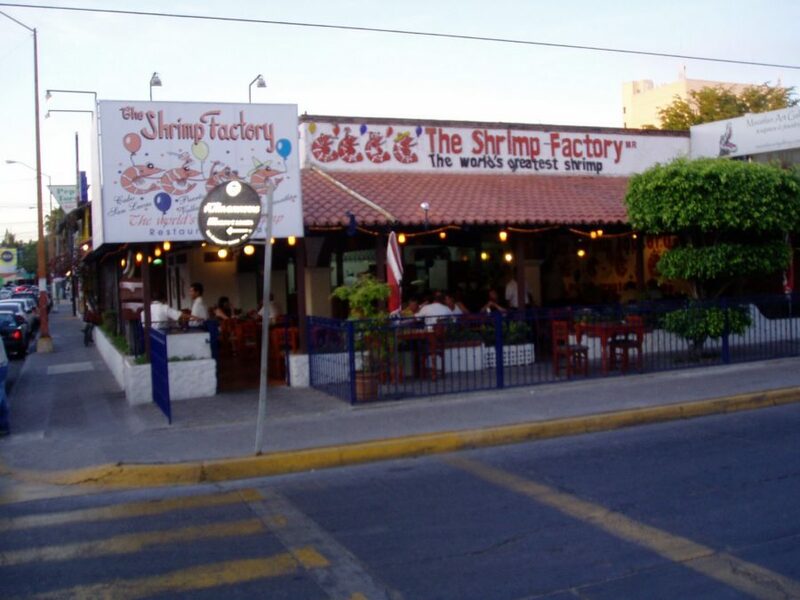 Not so with The Shrimp Factory, which is on the corner of Calle Garzas and Avenue Playa Gaviotas (yes, just down the street from Pancho’s). I should have suspected that an establishment with that name would be suspect. The waiter directed us to a menu selection for two, which offered a variety of seafood–fish, shrimp, lobster. That, with a drink and the standard chips and salsa, came to about $60. Overpriced, I thought. But the real insult was that a street hawker, Alejandro, walked across the street from his kiosk on the corner right into the restaurant and started to talk with us. We thought he was a restaurant employee just being nice and friendly. I can’t believe how naive I continue to be. No one is ever nice to you without a reason. There is always a hustle. Always. Every single time. We were a captive audience sitting at our table. The short story is that Alejandro watched us enter the restaurant, came over and made nice to us, then left and watched us while we ate, and when we were about done, showed up to make his pitch for a condo. He was so smooth in the way he handled us that it took a day to realize how much our privacy had been violated. I was not only angry with him, but with the restaurant management. However, I got over it, because carrying a grudge requires too much work. Lesson learned. It’s just the way things are. We spent a lot of time reading, which, at least for me, is a luxury. Char was on her fourth novel by the time the week ended. I was way too ambitious in my packing. I think I took five books along, but spent all of my time in the 2008 edition of The Best American Travel Writing. I was particularly interested in the stories that came from Africa and the Middle East. What an interesting collection of essays–no destination pieces here. The articles are more of an exploration of current local culture and lifestyle. While I think the articles selected revealed a heavy New York bias on the part of guest editor Anthony Bourdain (of the 25 essays, six are from The New Yorker and four from Travel & Leisure), I’ve nevertheless found the pieces I’ve read so far quite interesting. Makes me want to go to a place and immerse myself in the local culture for a time. That’s always the best way to travel, in my opinion. Not always possible, but still the best way. Looks like you had a relaxing trip! 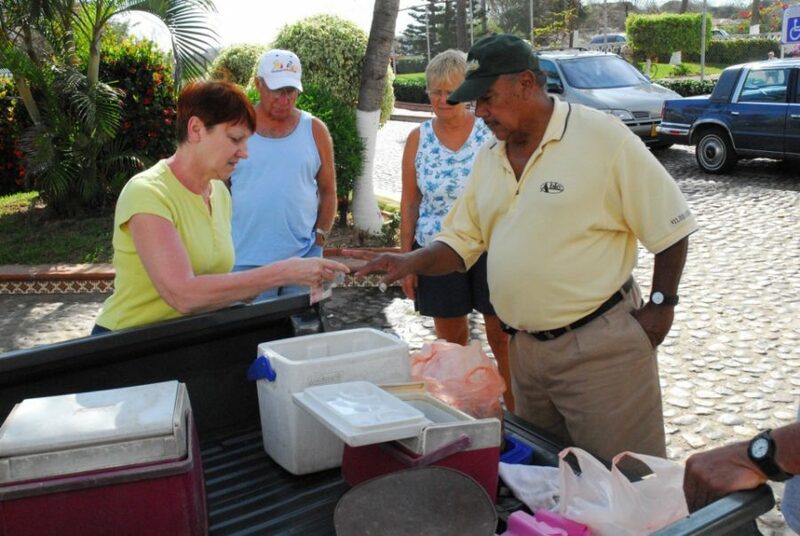 How nice to have vendors bring fresh seafood right to you. Did you prepare any seafood while there? We had a great trip to Italy. We stayed in Sorrento, made a trip out to the Isle of Capri, drove along the Amalfi Coast, toured Pompeii, drove north of Rome to the Umbria region, stayed in Orvieto, went to Assisi and ended up in Rome for two days. It was exhausting, to say the least, but the sights were beautiful. We all must go to Italy. Of this I am convinced. Did you ever get a chance make it into old town (Centro Historico)? Yes, we did. See comments on blog.